Teams from 56 universities from around the globe will pitch conscious capitalism ventures that make a profit while solving a problem. Southern Methodist University and the University of Texas at Dallas will join the host school TCU in the competition that features 56 universities from across the world whose teams will pitch ideas for conscious capitalism ventures that make a profit while solving a problem. Since 2011, the TCU competition has given out $500,000 in cash prizes, featured 285 ventures, and seen 138 companies launched or launching. Previous ventures pitched at the competition include recycling plants that employ the homeless, improved access to autism treatment, human-powered machines, and payment kiosks that don’t charge banking fees. And, you don’t have to look any further than the venture being pitched by TCU’s team for an example of the values displayed in the competition. 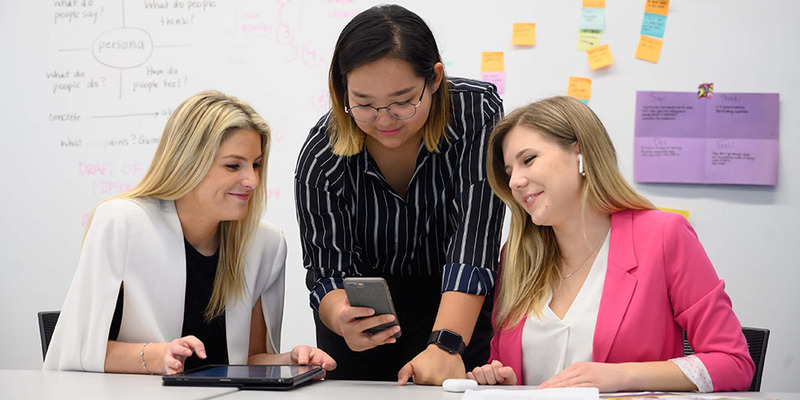 TCU’s team of Maddie Kingsbury, Devan Peplow and Mavis Tang will represent Sounde, a hearing app that allows people with hearing impairments to hear in real time. All three team members are seniors who will graduate in May. TCU said the app doesn’t simply amplify sound—it uses a proprietary algorithm developed by Liran Ma, associate professor of computer science at TCU, that breaks apart sounds and then pieces them back together to produce a viable sound in under 50 milliseconds. The app is aimed at people who have mild-to-moderate hearing loss as an affordable bridge or supplement to expensive hearing aids, the school said. TCU said the Sounde team brings together several disciplines from TCU: the Neeley School of Business (business strategy), College of Science and Engineering (proprietary technology), Harris College of Nursing and Health Sciences (communication sciences and disorders) and College of Fine Arts (graphic design and sound recording and processing). The competition plan came together when Rodney D’Souza, Davis Family Entrepreneur-in-Residence and managing director of the TCU Neeley Institute for Entrepreneurship and Innovation, heard about Ma’s technology, that was featured in TCU Magazine. D’Souza contacted Ma, who said he was happy to have business students develop a plan to commercialize the technology, TCU said. The professors then formulated an agreement to give the team exclusive licensing of the technology for that purpose. That’s how he Tang, Kingsbury, and Peplow, who has partial hearing loss. You’ll also find news about Mobility Ventures, Aristos Ventures, Gameway Inc., Walker TX Holding Co., and Dalfen International in this roundup of investment, merger, and acquisition activity involving companies with North Texas ties. Check out scenes from this weekend at the [email protected] and Comerica Bank's new pitch competition.